Please come along. Pizza £5 and the bar has been warned of large numbers. 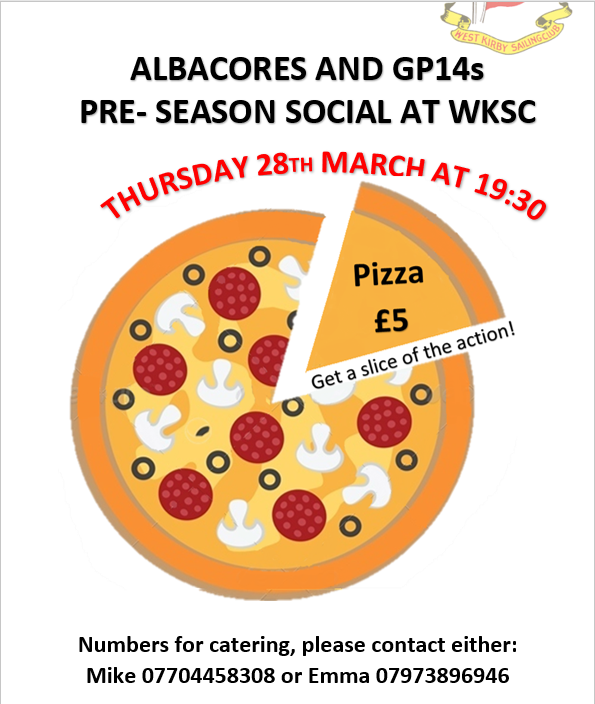 At the Pre Season Social, we will tell you about the new series, and how things will be organised this year, plus all the key sailing events for GP14s at WKSC not least the Regatta. They are all in the Handbook but we’ll expand on it. Definitely put this date in the diary or you will miss out!